This mirrored accent Table is a modern and edgy piece which will no doubt be an eye catcher in your bedroom, hallway or living room. 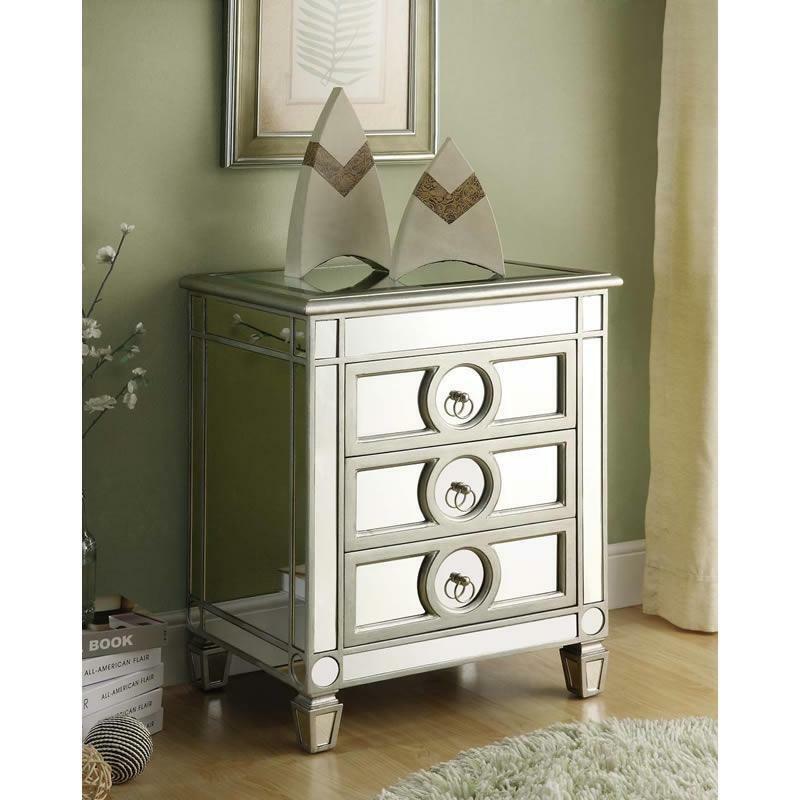 Its three drawers, with chic circular handles, offers you space to store your clothes, blankets, keys or accessories. Its smooth top surface is perfect for adding pictures or decorative items.